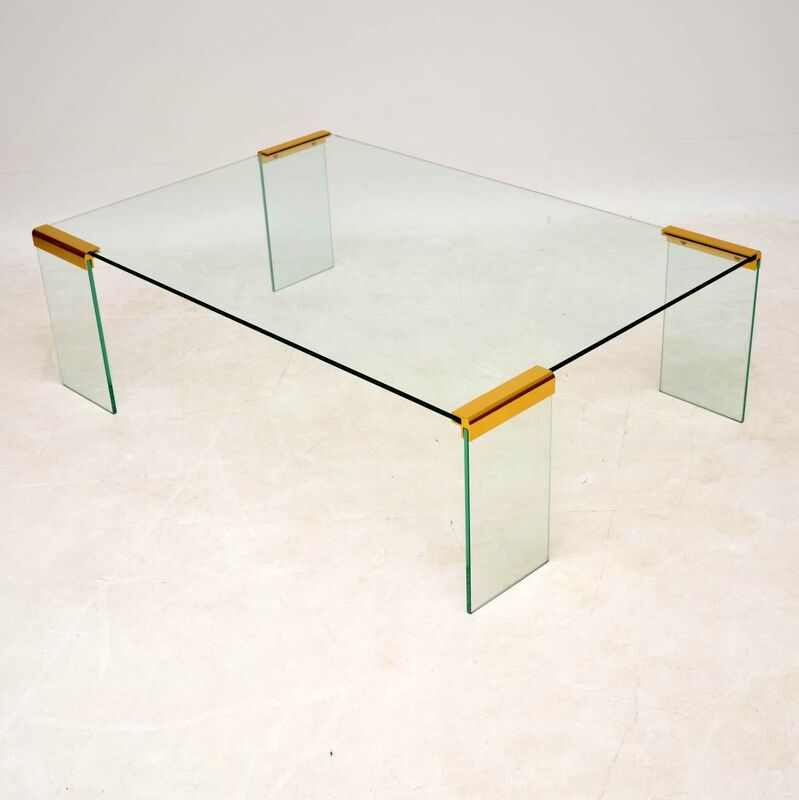 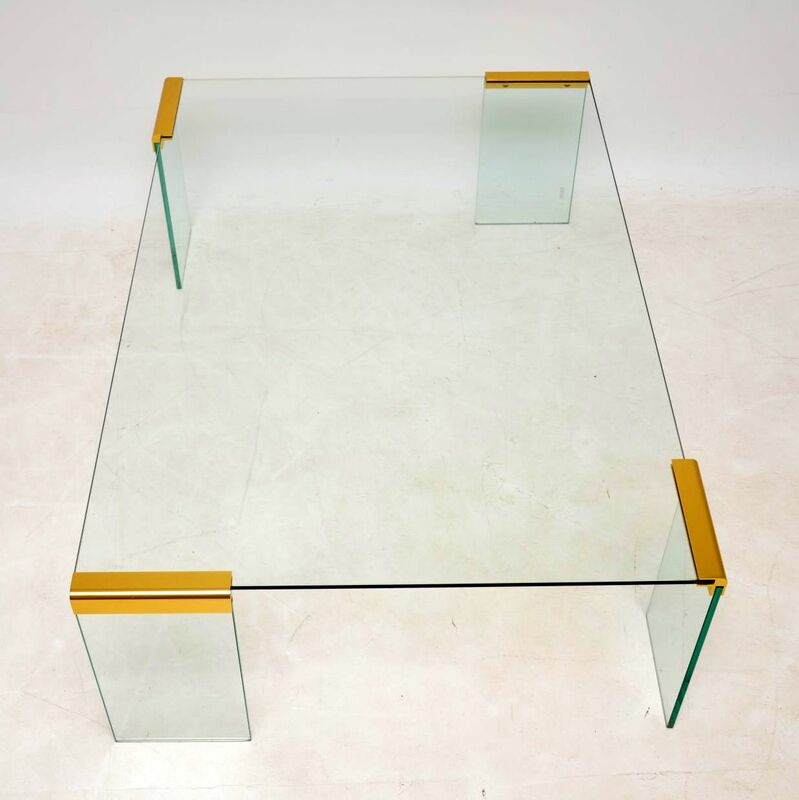 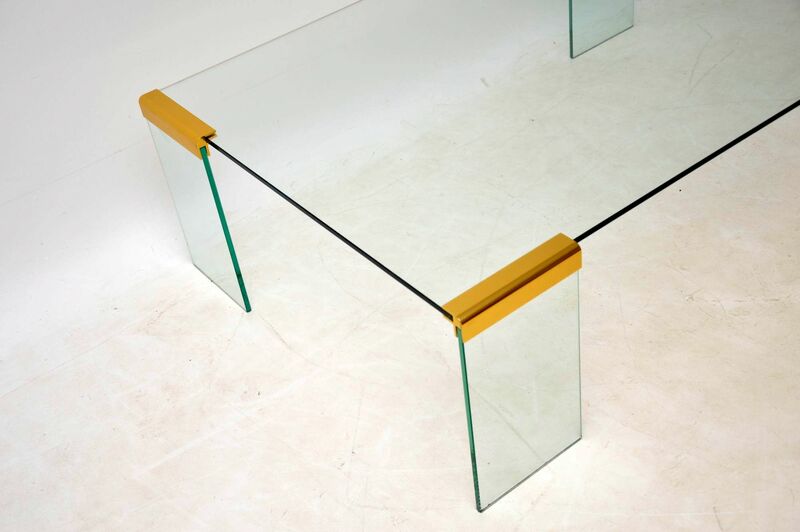 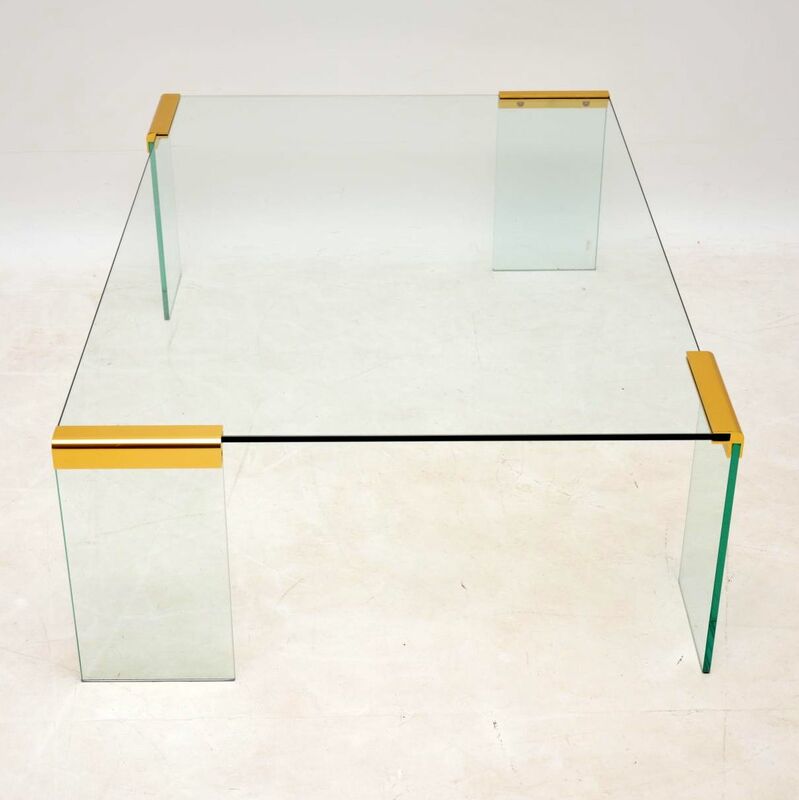 An absolutely stunning vintage coffee table from the 1970’s, this was made in Italy by Gallotti & Radice. 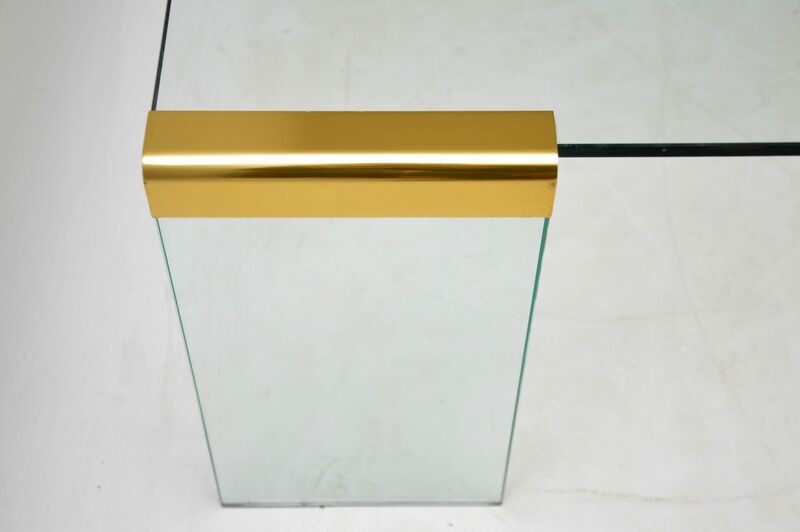 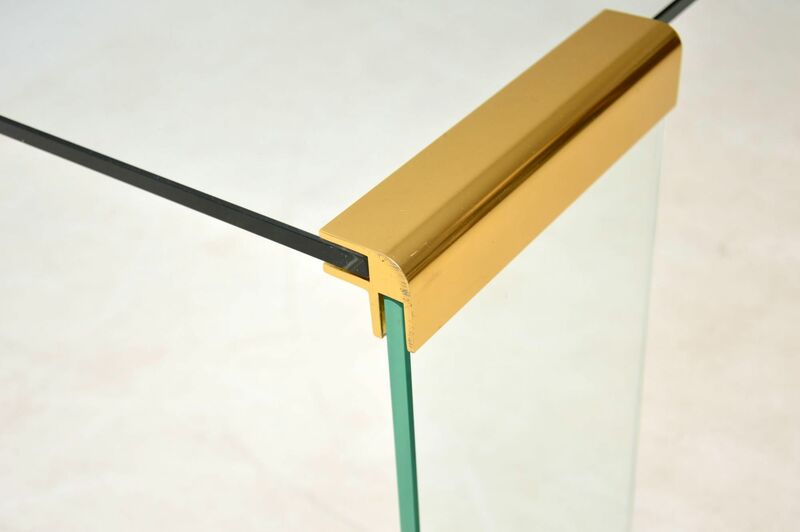 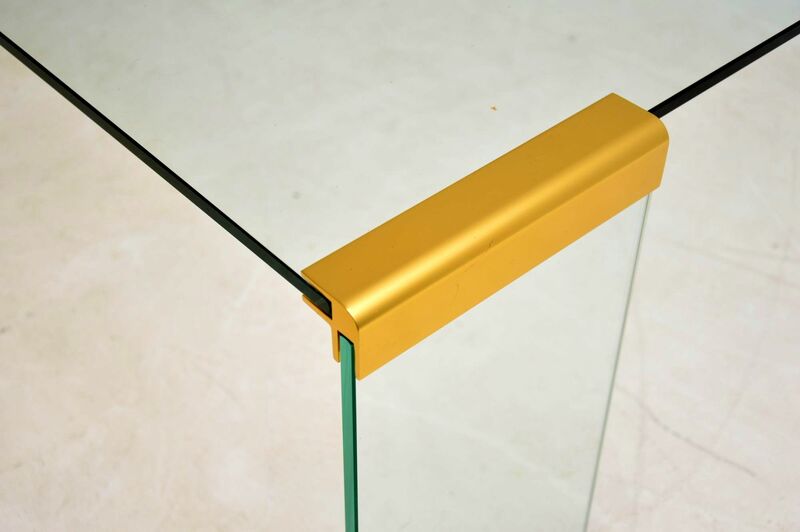 It’s of superb quality, it’s mostly made from clear toughened glass, held together by beautifully made brass fixtures. 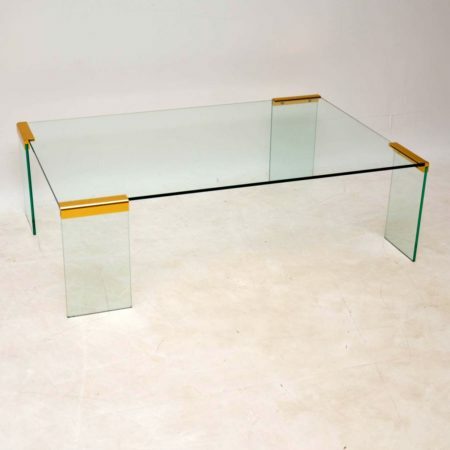 The condition is superb for its age, with only some extremely minor wear. 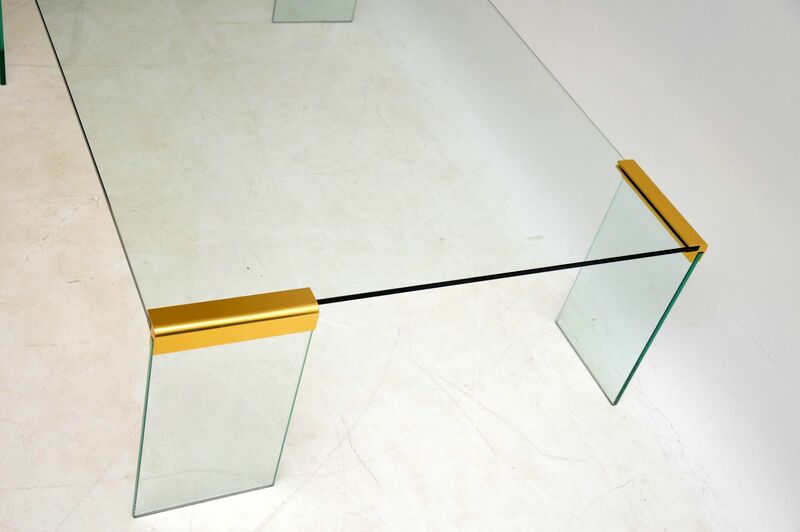 The legs can be detached quite easily for ease of transport. 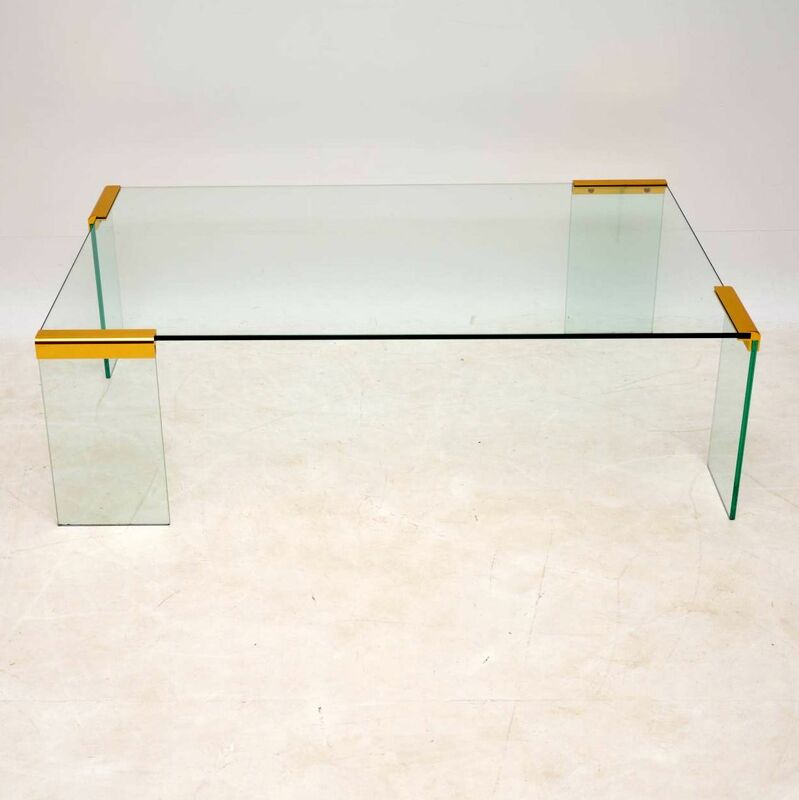 We also have a matching cabinet available separately, seen listed under our other items for sale.